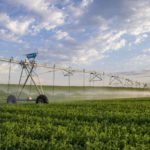 AgGateway has submitted its proposed irrigation data exchange standard to the American Society of Agricultural and Biological Engineers (ASABE), a major achievement in precision agriculture to help growers manage data from their irrigation management systems. The standard is the result of AgGateway’s collaborative PAIL precision irrigation project, an initiative to help growers more easily evaluate their weather, soil and crop data to make more informed decisions about when, where and how much water to apply – resulting in smarter energy and water use, and lowering costs while protecting or improving yield. As part of their collaboration toward a national standard, AgGateway and ASABE will work together to finalize data formats for irrigation equipment, including weather stations, soil-moisture sensors and irrigation control systems, and other agricultural irrigation-related information, such as soil types and GIS data. “Everywhere I go, whether in the U.S., Europe, or Asia, irrigation companies, consultants and customers are asking for this,” added the working group’s vice-chair Diganta Adhikari, Director of Engineering at Irrometer Co.
Dr. Charles Hillyer, Extension Specialist with Texas A&M AgriLife, will chair the ASABE Committee. This is the first time that AgGateway has released a standard directly to ASABE. The current release includes core concepts and irrigation operations. A separate section in progress at AgGateway includes observations and measurements, and is based on applying the ISO standard for observations and measurements (ISO 19156:2011) to the agricultural environment.